If you’re looking for your first ERP system or looking to upgrade from an existing system, the evaluation, selection and implementation process is a long-term strategic decision for your organization. 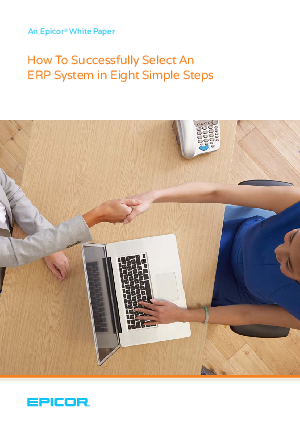 Divided into two sections this white paper looks at the four key considerations in choosing an ERP vendor and at four key factors that affect your ERP choice. Successful ERP implementation depends on having a well-planned ERP strategy looking at each of these issues. You should focus on vendors with experience in your industry sector, able to work with you to prioritise the needs of your business. Register now to download the guide.